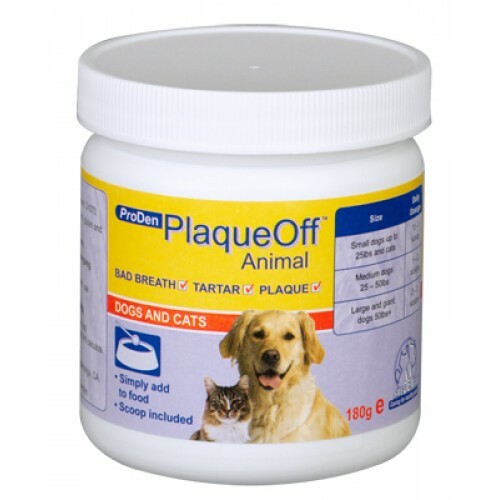 Proden PlaqueOff Animal is a natural, easy way to control bad breath, plaque and tartar without artificial or harmful ingredients such as alcohol, zinc, enzymes, xylitol or anti-bacterials. Truly all natural, human grade and human tested. Just sprinkle a little on the dog or cats food each day. 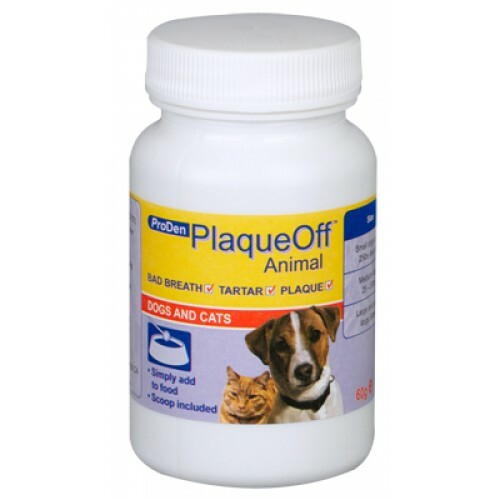 The only product that is always working to protect your pet's oral health. Backed by 20 years of research.